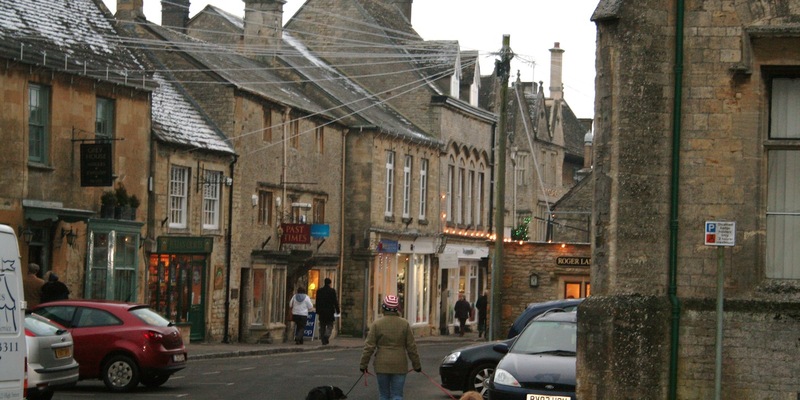 Ancient and historic Stow-on-the Wold is the highest town in the Cotswolds, standing 800 feet above sea level. Stow has attracted people to settle in the Cotswolds since the Iron Age. Early settlers were initially drawn to the adjoining village of Maugersbury, but over time the commercial success of Stow has seen the town establish itself as the pre-eminent town in the Cotswolds. 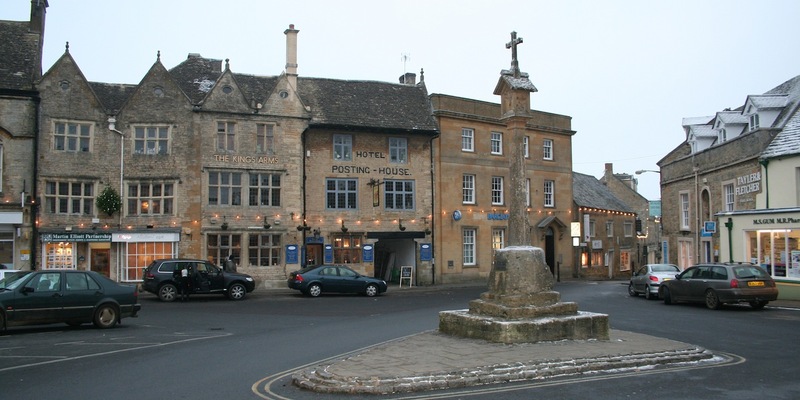 Stow is located at the junction of six roads making it an important and natural meeting place of the Cotswold’s. One of the renowned Cotswold routes meeting in Stow is the famous Roman road – The Fosse Way. 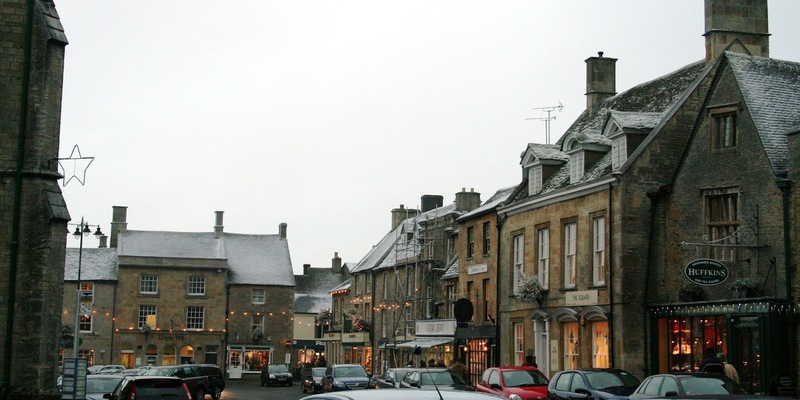 The centre of Stow has a remarkably large and impressive market square. 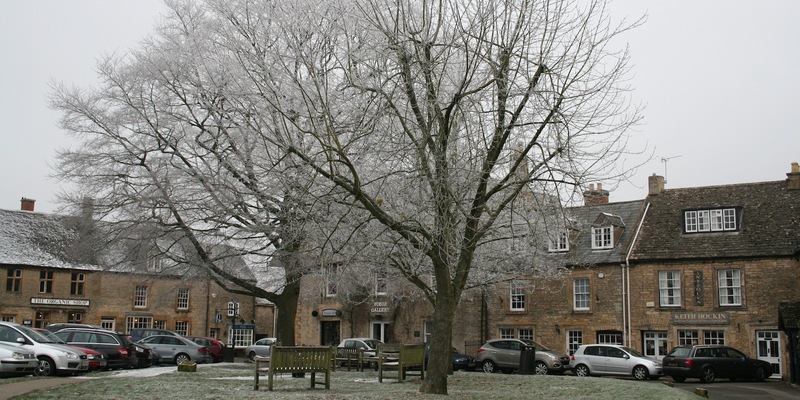 Markets have regularly taken place in Stow since 1107 when King Henry II granted a charter. Stow has always catered for visitors and travellers. At one time it was said that just about every building on the square was either an Inn or sold refreshment. The tradition continues today as tourists and locals alike are attracted to The Kings Arms with its friendly welcoming atmosphere, good food, charming historical features, fine wines and real ales. Take the M40 motorway towards Oxford and Birmingham. Exit the M40 at Junction 8 onto the A40 for Oxford. Follow the A40 around Oxford towards Cheltenham. At the Burford roundabout take the A361 through Burford then the A424 towards Stow. The A424 meets the A429 Fosse Way just south of Stow-on-the- Wold, turn right at the traffic lights and climb the hill to Stow-on- the-Wold. The A424 meets the A429 Fosse Way just south of Stow-on-the-Wold, turn right at the traffic lights and climb the hill to Stow-on- the-Wold.